Search engine optimization is extremely important for every inbound marketer and there are quite a lot of tactics to be implemented in order to increase search engine visibility and boost one’s online presence. Due to a number of SEO practices that are considered essential for online success, many inbound marketers often find themselves in quite a conundrum when it comes to taking the right steps towards implementing the right tactics for letting search engines know about their business. Make no mistake, it can be confusing at times, especially if you are a newbie and have no idea where to start, let alone how to boost your online visibility and attract new leads. You are not alone in this, as a number of business owners don’t quite understand what SEO means and how big of an impact it can have on their business. Have no fear, because you’ve come to the right place, where you can learn how to get started on improving SEO for your blog and gaining the upper hand among your competitors. Read on to learn about the key steps towards optimizing your every blog post for search engines in order to ensure your website is visible to your target customers and that it attracts quality leads and conversions. Trying to incorporate as many keywords as possible into your every blog post is never a good choice for optimizing your content. For starters, your content would not seem to have a natural flow and it would come off as forced. It would seem as if you are trying hard to sell your content without even thinking about making it relevant to your readers. If you do that, not only will your readers find your content irrelevant and unuseful, but search engines will also see your content as stuffed with keywords only for the main purpose of increasing your ranking in organic search. Therefore, you should always focus on including one or two keywords per blog post, since that way, you can clearly focus on your main goal and make sure you communicate the right message to your readers. As a result, you will improve your readers’ user experience, which will positively impact your SEO ranking. Using long-tail keywords is perhaps the best way to go, since it will help you attract just the right type of blog visitors, that is, attract the right type of traffic. Again, one or two are more than enough for a single blog post, as that way, you can optimize your every post for those particular keywords and bring in quality leads. Note that it is crucial that you include your keywords into your headline, the body of your post, the headers, the URL and the meta description of your blog post. 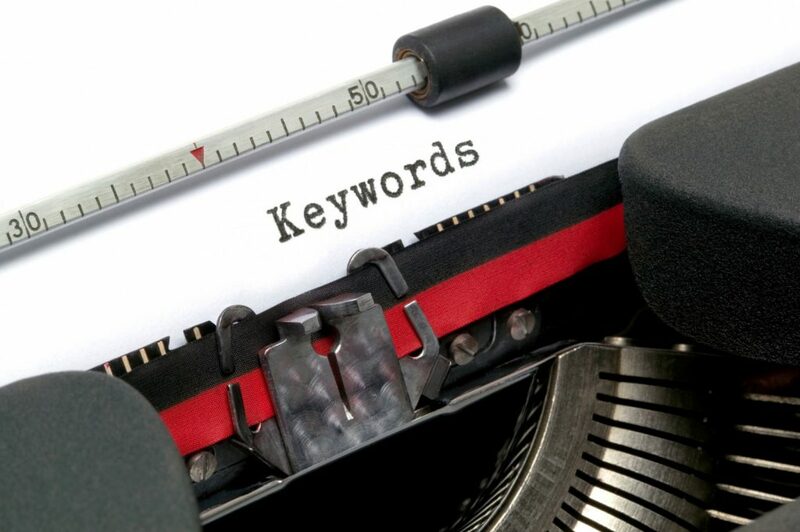 These four places for your keywords are essential for optimizing your content for search engines, so you need to make sure you follow those rules, since search engines will definitely rank you higher in SERPs and you will significantly increase your conversion rates. Meta descriptions help the readers determine whether or not they will actually click on the link above the description to read the content, as it provides them with additional information about the content they searched for. Therefore, if you provide them with relevant information in your meta descriptions that concisely explains what your blog posts are about, not only will your readers be compelled to click through, but Google will also find your posts more relevant and rank you higher in SERPs. You should not forget to include your keywords into your meta descriptions, since they will make your meta descriptions more effective, as well as further help you with SEO, as they are the representatives of your blog posts that help the readers make the connection between the terms they searched for and the results of their queries. Since you are running a blog, you are certainly aware of the importance of implementing relevant and visually appealing images in your every blog post. They further engage the readers and improve their user experience, which helps you improve your SEO and gain a better ranking in the SERPs. However, search engines cannot actually “see” those images, can they? How, then, can they index them to rank your website? Search engines actually look for images with alt text, which lets them know what a particular image is all about, thus they can more easily be found in searches. Images with alt text can also improve the user experience, because, when a particular image cannot be displayed, the alt text is displayed inside the image container. You may not think that optimizing your images by including alt text is going to greatly improve your ranking and you may be right, because it will certainly not have as much impact on your ranking as the other aforementioned steps, but you can be sure that it is definitely worth the time, no matter how small of an impact on your ranking it has – the impact will still be seen. Internal links can help search engines determine the relevance of your content, not to mention that they can provide your readers with additional information about the topic of your every blog post. Therefore, whenever you think some of your other blog posts, your other web pages or, for instance, your eBook can provide your readers with an additional information that they would find relevant and helpful, you should include the links of your other internal resources in your content. Not only will implementing internal links help you improve user experience, but it will also present your other relevant web pages to search engines, thus helping you improve your SEO ranking. Nevertheless, it goes without saying that you should always add internal links naturally and only when they offer additional relevant information to your readers. Never force them into your content, but use them only when they can actually help your readers learn more about the topics you write about. It is no longer merely an option to have a mobile-friendly website, since Google will penalize you if your website is not optimized for mobile devices. Therefore, make sure you make your website mobile-friendly and include all the elements of a responsive web design; not only will that provide mobile users with a seamless mobile experience, thus improving your site’s user experience, but it will also help you in terms of SEO and search engine rankings. Since Google prioritizes mobile-friendly websites over those which are not optimized for mobile devices, your ranking in search engines can be increased significantly by having a responsive website. When your website is responsive, the pages on your blog will have one URL instead of two different ones, which will further help Google recognize the value of your blog posts and rank them accordingly. When you start optimizing your blog posts for search engines, you cannot expect immediate results, because building up search authority definitely takes time. However, if you publish new blog posts on a regular basis and remain consistent in making them relevant and user-friendly, you will be on the right track towards increasing your search engine visibility and bringing in traffic that will result in quality leads for the long haul.